My 6-year-old daughter and I wrote The Stephanies together over the summer of 2012. 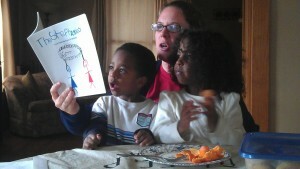 We came up with the idea together and I polished the story while Lexi drew the pictures. 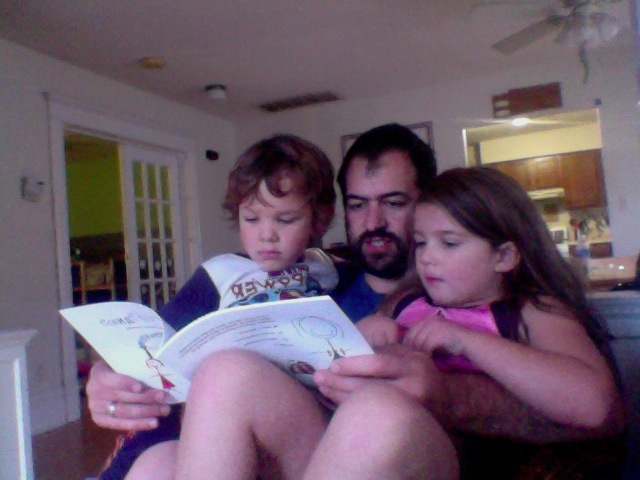 In the fall we ran a Kickstarter project to publish the book. Lexi and I came up with the idea and created the project together. I’ve self-published a few of my own books before, but it’s not that hard. Lexi drew the pictures and I scanned them, doing some basic resizing and very minor photo-retouching in Photoshop. Then I did the layout in Microsoft Word and created the cover in Photoshop. I uploaded both files to Amazon’s print-in-demand house, CreateSpace, and presto, a print version of the book. I used Pages to create an epub file to make the digital version for Amazon’s Kindle (digital is a little more complicated, since text size can vary, so basically you lose a lot of control for how the final product looks). If that sounds a little intimidating, you could try Scribble Press. It’s a fun way to create and publish your own books online or using an iPad (though you can’t sell them—you can just share them and order print copies). 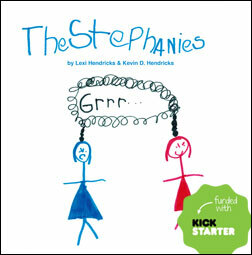 We launched our Kickstarter campaign on Sept. 6, 2012, hoping to raise $300 to fund publishing The Stephanies. In just over 48 hours we’d reached our goal and The Stephanies was funded. The campaign went on to raise $727 from 37 backers. Lexi and I are very thankful for everyone who pitched in and made this project a reality (especially since any extra money goes to Lexi’s college fund). The Kickstarter campaign ended on Oct. 3 and by Oct. 29 we’d shipped out the rewards to our backers. Check out a collection of photos of the process. Once our early supporters had their copy of The Stephanies, we made the book available to the rest of the world with an official launch on Nov. 6, 2012. 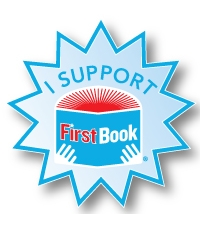 For that first month we offered to share half the profits from The Stephanies with First Book, an organization that gives kids in need access to books. Literacy is one of the best predictors of a child’s future success and access to books is the biggest barrier to literacy. So give kids books, they learn to read, they do better. Everybody wins. In the end we made a donation of $15.19, a little bit of support that will provide six new books to kids in need. Thanks for helping us share the love of reading, one book at a time.